just to discover new things. in the best part of town. In fact, I usually avoid this area altogether. Horace Trumbauer for Peter A. Widener in the late 1800s. between Cheltenham Twp. and the owners. the township has refused their appeal for a variance. So the mansion sits vacant, neglected and crumbling. historically and architecturally significant masterpiece through neglect. 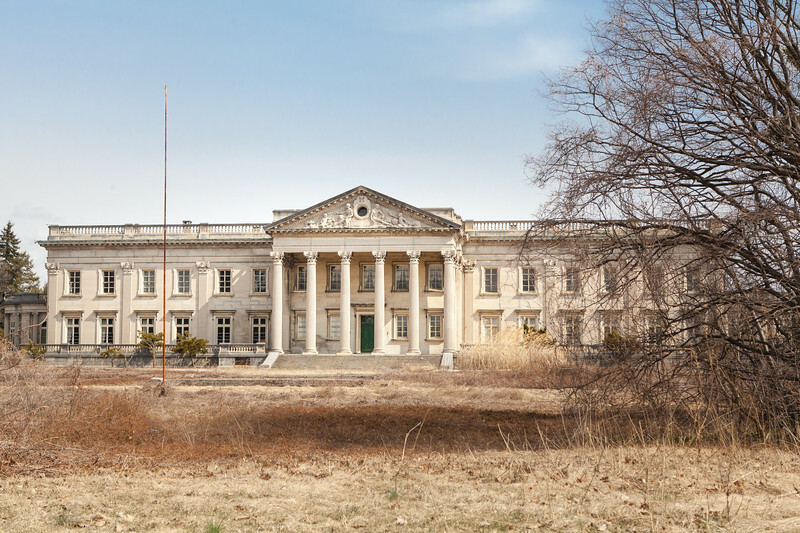 You can read more here about the history of Lynnewood Hall. You can also join the facebook group Save Lynnewood Hall. I hopped over to your other site and that Gate is wonderful all by itself. what a shame to let this just fall apart. there is not much left in America to save. hope this one is saved. What a beautiful place - you don't "stumble" across a mansion like this every day! 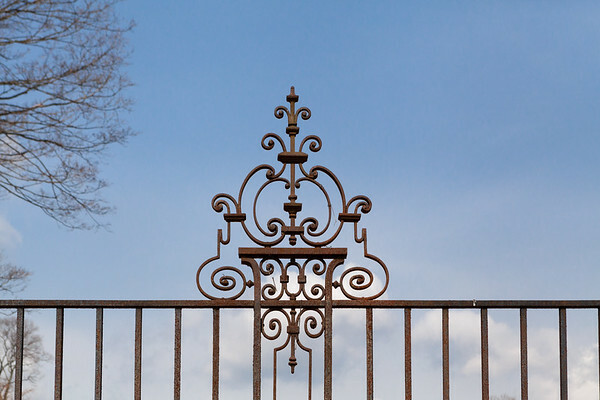 Beautiful gates and iron work! It's things like this that make me love to travel out of the way places. What a gorgeous place. Love the ironwork and the building is amazing! I love history also. Thanks for visiting my blog. I heard the angels singing right along with you :) It looks like the White House. I bet you want to go inside. What a beautiful building. I truly do hope they are able to save it. I visited from Thurs. Favorite Things this morning. I hope they rethink demolishing the building. There's so little of history left in many communities. A great stumble! Love the iron work! Oh wow, that was definitely worth the adventure! Lynnewood Hall is absolutely stunning! You simply don't see places like this here in the states...how sad that they are going to tear it down. that fence and gate is amazing! the mansion, i hope, can be saved in time. thank you for linking in! WOW! It would be terrible to lose such a beautiful piece of architecture. What a lovely place and what lovely fences. It makes me so sad to see that place going to ruin. What a place. I signed the petition. Why not? I hope this building is saved. HI I watched the video and am heart broken that this historic and beautiful building may turn into a complete ruin. 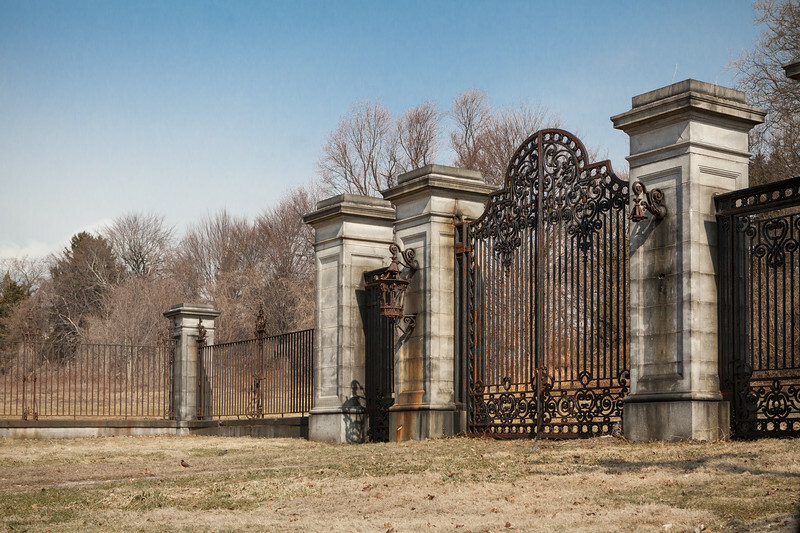 It should be restored for the nation, The gates and surrounding fence are very impressive and I am glad you made this discovery on your way home. Have a great weekend. Such a worthy place worth saving, great photos too, I'm happy you kept going and found this place. You would think that the town might care about this building and the historic value. Why are some people so stubborn? what a magnificent building just to sit there and let go to ruins. because of the area, makes you wonder if people are living in it anyway. great find! I find it hard to believe that such a magnificent building can exist and everyone for miles and miles around doesn't know about it and protest loudly about its state of neglect. And it seems incredible that the parties involved aren't working hard at finding a solution so that it can be preserved. I hope your post generates some support for the cause. Rebecca. 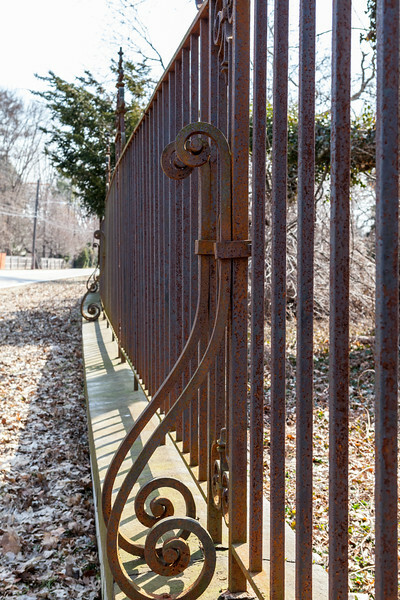 Love the ornamental iron and rust! This beautiful structure is well worth saving. Great photos too. shows what good things we can find when we get out of our comfort zone. really a wonderful building. seems kind of large to use as a church. kind of a sad story isn't it.